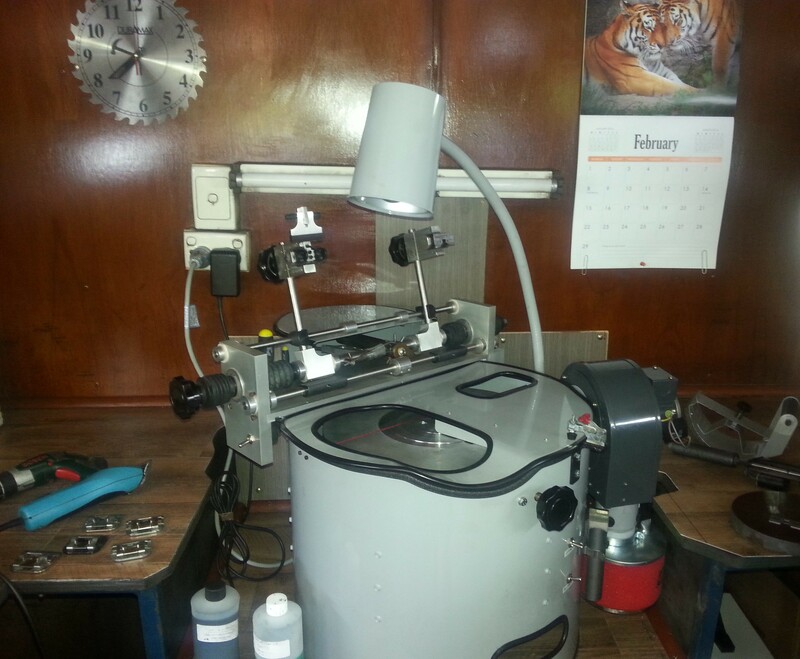 At Coastal Sharpening we use a top-of-the-range automatic sharpening machine, with a large alloy honing disk. The snap on blades used by Wahl, Oster, Laube, Andis, etc are all ‘hollow ground’ at the factory, and require a machine that will hollow grind to be re-sharpened satisfactorily. Sharpening hollow grind clipper blades requires a specialised, single use machine. In other words, this machine will only do one job, and that is to sharpen clipper blades. The machine used in our shop is the same type of machine as used in a factory. It has an 18 inch diameter honing disc and will produce a precision hollow grind each sharpen. Also, our machine sharpens both cutter and blade at the same time, which matches them together. After sharpening the blades, we polish them by using a very fine polishing powder. When blades have been sharpened, we retension the springs if needed, check blade guides, and set the blades to the clipper. We then ‘run in’ the blades, and test them before they are returned. It may not always be the blade at fault, if the blades are “Tracking”” leaving lines, it may be that the clipper has worn parts and need to be serviced. Our New-Top Of The Range-Fully Automated Clipper Blade Sharpening Machine. We sharpen and repair Oster, Wahl, Laube, Andis, Thrive, Lister and Heiniger brand clippers. We also sharpen ceramic blades. * Regular pet blades (all snap on/ off blades, trimmer blades, etc) and human blades = $11/ set. * Ceramic blades = $15/ set. * Wahl Arco 5 in 1 blades = $16.50. * Large animal blades (horse blades) = $13.75 to $15/ set. Return postage and handling for blades is $8.50 Australia wide (any number of blades). We are Warranty Repair Agents for all Wahl & Lister clippers. Remember, it is not always be the blade at fault, it may be the clippers themselves. We sharpen & repair all major brand clippers. If Wahl clippers (pet and human hair) are under warranty, please send warranty card with receipt plus return postage. Warranties do not cover levers or misuse. For clippers that are not under warranty send us the clipper and we will get in contact with you and let you know the cost of the repairs. There will be a fee of $15 for the quote which will not be charged if the repairs are carried out or new clippers purchased from us. Return postage and handling for clippers is $15 Australia wide. We sharpen our grooming scissors on the Twice as Sharp scissor sharpener. All our scissors are honed after sharpening, reset (correct blade curvature), balanced (tension etc), then set so the points match. * Animal (pet) grooming scissors = $11 each. * Surgical scissors = $12 each. * Hairdressing scissors & Thinners= $33 each. Return postage and handling for scissors is $8.50 Australia wide. When sending blades, clippers, scissors, etc, please wrap your items in bubble wrap or in newspaper in an appropriate sized container. Items should be wrapped individually to avoid damage in the post. 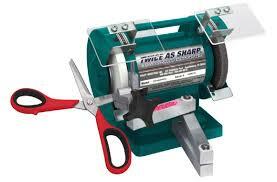 Please contact us today to arrange sharpening and repairs, or for further information regarding these services.